Brooklyn Museum features John Singer Sargent “Watercolors” @ Target First Saturday | STREETS OF NEW YORK 411 INC.
5 p.m. Music: The Judeo-Muslim ensemble Layali El Andalus showcases a vast repertoire of music spanning Andalusia, North Africa, and the Middle East. 6 p.m. Curator Talk: “Made in the Shade: Sargent’s Watercolors of Italian Villa Gardens.” Teresa Carbone, Andrew W. Mellon Curator of American Art, traces Sargent’s footsteps through the Renaissance and Baroque gardens of Tuscany, exploring how the artist chose his beautiful vistas of flora and fauna. 6-9 p.m. Pop-up Gallery Talks: Short, lively gallery talks shed light upon travel-based and watercolor works in our permanent collections. 6:30-8:30 p.m. Hands-on Art: Paint a watercolor postcard of an imaginary destination. 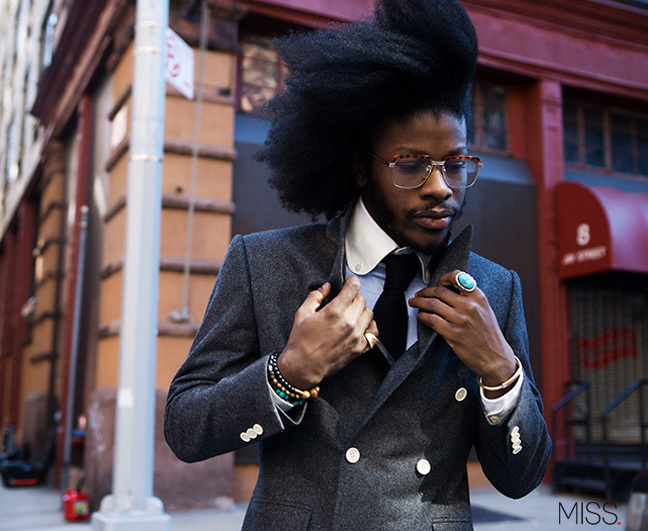 7 p.m. Music: World soul and R & B artist Jesse Boykins III performs beautiful melodies that speak to travel and universal emotional experiences. 8 p.m. Film: Cat Scratch Fever (Lisa Duva, 2011, 73 min.). The comic adventures of two young women who travel through multiple realities. Official selection of the 2012 Brooklyn Film Festival. 8-10 p.m. Interactive Space: You are cordially invited to the Brooklyn Museum’s garden party. Meet local gardening and watercolor experts, pose in a spring-inspired photo booth, and create floral accessories to wear during the evening. Guests are encouraged to don their finest and freshest garden party attire. Musical guest Les Chauds Lapins enlivens the space with French swing of the 1920s, ’30s, and ’40s. 9 p.m. Music: The Brooklyn-based group Young Magic combines electronic dream pop with field recordings made in Mexico, Brazil, Germany, Australia, and the U.S.
9 p.m. Book Club: Janet Wallach discusses her book about the woman who inspired Sargent to travel to North Africa, Desert Queen: The Extraordinary Life of Gertrude Bell (Doubleday, 1996). Throughout the evening, a cash bar will offer beer and wine, and the Museum Café will serve a wide variety of sandwiches, salads, and beverages. The Museum Shop will remain open until 10 p.m.
Museum admission is free from 5 to 10 p.m. and includes entrance to all galleries and events. Programs subject to change without notice. Some Target First Saturday programs have limited space and are ticketed on a first-come, first-served basis. Lines for free tickets often form thirty minutes in advance. For more information, visit http://www.brooklynmuseum.org. Parking is a flat rate of $5 from 5 to 10 p.m.
Time Out New York, media sponsor.